I’m a huge fan of unique canvas’ this one was for sure a first. Was asked to make an ATM machine look interesting.The ATM was going into a craft cocktail bar so i played along the theme of the place. Ended up painting it and adding texture to the surface with sand and glue. Finished it off with some prohibition wheat paste and paints. 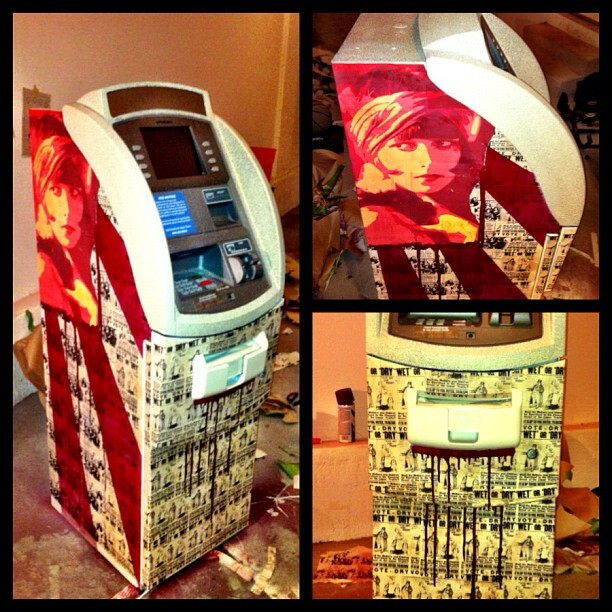 This entry was posted in Beer Zombies Art and tagged #beerzombies, #dtlv, #lasvegas, #lv, #sincity, #zombie, #zombies, ATM machine by beerzombies1. Bookmark the permalink.